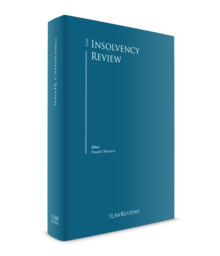 Insolvency and restructuring proceedings in Ireland are primarily governed by the Companies Act 2014 (as amended),2 the Bankruptcy Act 1988 (as amended) and the Personal Insolvency Act 2012 (as amended). These are supplemented by principles of common law. The Irish legal framework is embedded in the EU framework3 under the Recast Insolvency Regulation, augmented by the provisions of the Rome Regulation and the Recast Brussels Regulation. The overall Irish framework is both creditor friendly and flexible, featuring processes that facilitate rescue and restructuring of corporate groups with complex structures. In terms of substantive provisions applicable to insolvency proceedings, a liquidator and any creditor may seek to set aside eligible transactions. Such powers arise (1) where the transaction occurred within specified periods before the company entered into liquidation and (2) where the company was insolvent at the time it entered into the transaction. fraudulent transfers: A liquidator or creditor of a company can apply to the High Court for the return of assets or for compensation where they can establish that the transfer of the assets had the effect of the perpetration of a fraud on the company, its creditors or its members. However, transactions that are unfair preferences are excluded. The underlying principle concerning distribution in a liquidation is that the property of a company should be applied pari passu in satisfaction of its liabilities. This allows for all creditors, particularly those within the same class, to be treated equally. If the realised assets of a company are insufficient to pay any class of creditors in full, they are paid in equal proportion to their debts. When proceeds are insufficient to meet the claims of one category in full, payments for that category are pro-rated. The Irish restructuring regime lends itself towards rescue where appropriate. The threshold for each restructuring process is designed so as to ensure that only companies with a genuine prospect of survival can engage in a restructuring process. Like the UK, it is also possible for companies in Ireland to avail themselves of a statutory 'scheme of arrangement', which can be used to implement a variety of arrangements between a company and its creditors or its members. While schemes of arrangement can be used to implement even the most complex of debt restructurings, they are not used as often as the examinership process in Ireland, not least because in an examinership there is a lower voting threshold. An insolvent company can be wound up by the High Court (a compulsory liquidation) or by way of a shareholders' resolution followed by a creditors' meeting (creditors' voluntary liquidation). The general criteria required to liquidate an insolvent company is that the company is unable to pay its debts. This usually entails an assessment of whether (1) the company is unable to pay its debts as they fall due (the 'cash-flow test') or (2) the value of the company's assets is less than its liabilities, taking into account its contingent and prospective liabilities (the 'balance sheet test'). The time frame for the completion of a winding up is dependent upon the size of the company and its trading patterns. A relatively straightforward liquidation can complete within a year, however, it is common for larger and more complex liquidation procedures to take significantly longer. Examinership is the main rescue process for companies in Ireland. Although there are a number of differences, international corporates will recognise examinership as being similar in many respects to the Chapter 11 procedures in the US and, to a lesser extent, administration in the UK. In an examinership, the maximum period in which a company may be under the protection of the court is 100 days. An examiner (a court appointed insolvency practitioner) has to have formulated a scheme, convened creditors' meetings and reported back to the court by day 100 and the approval of the scheme is typically heard by the High Court shortly thereafter. The scheme must be approved by in excess of 50 per cent (in value and number) of any one impaired class in order for it to be put before the court for approval. Although the statutory scheme of arrangement6 is not necessarily an insolvency process, its flexibility allows it to be used to restructure debt. The scheme is, however, more commonly used in Ireland to give effect to a reorganisation of shareholdings of large corporates and has tended to be the tool of choice for effecting the large scale corporate inversion transactions that have been in vogue in recent times with US and Irish pharmaceutical companies. In a statutory scheme of arrangement, once a scheme proposal document has been finalised and circulated, it would not be unrealistic for the court process to be completed within eight to 10 weeks. The scheme must be approved by in excess of 75 per cent of value and a majority in number of each class of creditors or members. It is also possible to restructure companies by way of a pre-pack receivership, in which case the sale of a distressed company's business can be negotiated before it enters into receivership and executed shortly after the receiver is appointed. The aim is to minimise disruption and cost and an advantage is that out-of-the-money junior creditors can be left behind in the insolvent company. The Recast Insolvency Regulation applies to all collective insolvency proceedings relating to a company with its centre of main interests (COMI) in an EU Member State. The regime under the Recast Insolvency Regulation allows for the opening of secondary proceedings in another Member State in which the company has an establishment where main proceedings have been opened and are pending in another Member State. It is possible for the insolvency office holder in the main proceedings to give a unilateral undertaking to creditors in the secondary proceedings that local distribution and priority rules will be respected as though secondary proceedings were opened there, which generally negates the requirement for secondary proceedings. 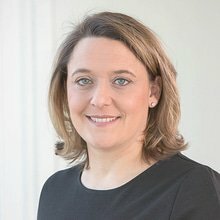 It is possible for liquidators of companies in non-EU countries to apply to the court in Ireland under common law for an order in aid of the foreign proceedings. The court has a discretion to grant such an order in appropriate cases. The question of who may commence such proceedings depends on which procedure is used. In a compulsory liquidation, the court has jurisdiction to appoint a liquidator if it is satisfied that the company is unable to pay its debts or that it is just and equitable to do so.7 Those entitled to petition the court to liquidate a company include the company itself, a creditor of the company, a contributory of the company8 and the Director of Corporate Enforcement. A compulsory liquidation is deemed to commence at the time of filing the petition. Notice of the petition must be advertised which allows parties (including the company itself and its creditors) to object to the appointment of a liquidator at the hearing of the petition. A creditors' voluntary liquidation is usually initiated by the directors of a company. A shareholders' meeting and creditors' meeting are called respectively. The shareholders resolve that the company is insolvent, and a liquidator is appointed. A statement of affairs is compiled and presented by the directors at the creditors' meeting, including a list of creditors and amounts owed. Where a company is, or is unlikely to be, unable to pay its debts, the shareholders,9 directors or creditors10 may petition the court to appoint an examiner. It is generally the company itself that petitions the court for the appointment of an examiner. Notice of the petition must be advertised, and it is possible for interested parties to object at the hearing of the petition to the appointment of examiner. It is possible to challenge proposals on the basis that one class of impaired creditors has not voted in favour of the scheme (which could be based on arguments in relation to the composition of classes). Challenges are also possible on the basis that the proposals are unfairly prejudicial to a particular creditor or are not fair and equitable in relation to any class of creditors. Once an insolvent company is in liquidation, the directors' powers cease and the liquidator assumes the management of the company. The Companies Act 2014 placed compulsory liquidations on the same footing as a creditors' voluntary winding up once the order for winding up is made, thereby reducing the supervisory role of the court in favour of greater creditor involvement and liquidator autonomy. In an examinership, the company will continue to trade and the directors usually remain in control of a company during the protection period. This is subject to the court's discretion to direct, upon application, that the examiner assumes some or all of the director's functions only for the period of examinership. In practice this is rarely done, and usually where there has been a suggestion of some sort of wrongdoing on the part of the directors. The examiner's scheme of arrangement requires court approval before it becomes binding. The directors and shareholders are usually instrumental in putting together the scheme and running the process. As with an examinership, the company can continue trading and the directors can stay in control of the company. Modified insolvency regimes apply in certain sectors and special situations. Examples include the following. The Insurance (No. 2) Act 1983 provides for the appointment of an administrator to non-life insurance insolvent companies at the request of the Central Bank in certain circumstances with a view to ensuring the survival of the company. Ireland took a series of exceptional steps to contain the crisis in the banking sector that emerged in 2008. Its strategy included transferring non-performing eligible assets to a government backed entity, the National Asset Management Agency and to provide capital and liquidity to weakened and distressed banks and building societies. The European Communities (Reorganisation and Winding up of Credit Institutions) Regulations 2011 (SI 48 of 2011) and the Central Bank and Credit Institutions (Resolution) Act 2011 apply to the winding up of credit institutions and banks and aim to provide an effective and expeditious regime for dealing with failing credit institutions. The Irish Bank Resolution Corporation Act 2013 was enacted in February 2013 and provided for the immediate liquidation of Irish Bank Corporation Limited (IBRC) (formerly Anglo Irish Bank Corporation Limited) by way of 'special liquidation'. As the special liquidators were appointed by the Minister for Finance, they are obliged to comply with instructions given to them by the minister and are under an obligation to act in the interests of the Irish taxpayer, putting them in a somewhat different position than other liquidators who are answerable primarily to the creditors of the company. Ireland is an internationally recognised centre of excellence in aviation finance and recently gave effect to the 'Alternative A' insolvency remedy of the Aircraft Protocol to the Cape Town Convention on International Interests in Mobile Equipment, the primary purpose of which is to provide a protective regime for aircraft financiers and creditors in insolvency proceedings similar to the US Chapter 11 procedure. The Recast Insolvency Regulation applies to all collective insolvency proceedings and some restructuring proceedings relating to a company with its COMI in the EU. The Recast Insolvency Regulation provides for automatic recognition in Ireland of proceedings to which the Recast Insolvency Regulation applies. that to afford recognition would not infringe public policy in Ireland. The Irish economy has emerged from the aftermath of the financial crisis and is currently experiencing a period of growth. Ireland's GDP grew by 7.3 per cent in 2017, representing the fastest growth rate in the EU in 2017.12 The banking system has shown positive signs of recovery, and the unemployment rate has declined rapidly over the past number of years. It is not entirely clear what effect the ongoing Brexit negotiations will have on the Irish economy as a whole. However, Ireland is an English-speaking jurisdiction, with a strong and long-standing common law jurisprudence. This provides familiarity of process and procedure regarding substantive legal principles to those accustomed to dealing with UK law. It is anticipated that these factors, together with the fact that the Irish corporate recovery rate is high at 87.7 per cent versus an OECD average of 73 per cent,13 will enhance Ireland's attractiveness as a location for a corporate to base its COMI. Corporate insolvency activity decreased by 14 per cent in the first quarter of 2018 when compared with the first quarter of 2017.14 The construction industry had the highest level of insolvency activity in quarter one of 2018. Notwithstanding increased levels of development and a general surge in the construction industry, it suffered significantly during the financial crisis, and the recent liquidation of Carillion in the UK impacted Ireland, and was blamed in relation to the failed examinership and subsequent liquidation of the Sammon Group in Ireland and the consequent loss of 200 jobs in addition to many more contractors. The directors of an investment broker firm were disqualified from being appointed or acting as a director of any company following a High Court order. Three former directors of the company were disqualified for 10, 12 and 14 years respectively, 14 years being the longest period of disqualification in the history of company law in this jurisdiction. The liquidator acknowledged that it is not usual for a liquidator to seek an order for the costs of an investigation preceding a disqualification application in addition to the legal costs, but justified his application having regard to the scale of the dishonesty in which the directors engaged and the subsequent consequences for the firm's investors. The liquidator was successful in his application. This decision highlights the court's approach towards directors who behave in a reprehensible manner to the detriment of a company's creditors. what, if any, order may or should the court make pursuant to Regulations 157 and 158 of the European Communities (Markets in Financial Instruments) Regulations 200718 in relation to his application to have recourse or rights against client money or financial instruments. In respect of the client monies held in pooled bank accounts where there was a shortfall arising, the court held that the assets should be distributed to the former clients on a pro rata basis. The court also applied a form of pooling order directing that monies received from properties, funds or companies into which the misappropriated monies were paid should be also returned to the relevant client accounts pro rata. The court did not make an order pursuant to the MiFID Regulations permitting the liquidator to have recourse to the remaining client assets as a large portion of the segregated assets had already been distributed by the liquidator without bearing costs and, accordingly, held it would be inequitable for the remaining pooled assets to attract costs. This case concerned a borrower couple who had engaged a personal insolvency practitioner (PIP) following difficulty in repaying a loan secured by a mortgage over their family home that had been transferred to an unregulated entity, Shoreline Residential DAC, (the Lender) from IBRC. The PIP drafted a personal insolvency arrangement (PIA) in relation to the borrowers' debt. However, this was rejected by the Lender at the creditors' statutory meeting as being unfairly prejudicial because the proposals regarding the mortgage debt were not sustainable long term. It was proposed that the remaining term be extended from 18 years to 27 years during which period a fixed interest rate would apply. Referring to the fact the Lender was a fund and not a bank, the court was of the view that the borrower's loan was akin to a bond as the loan was a secured asset that offered a fixed, albeit long term, return on the investment. Having regard to the Lender's 'status' as a fund, the court held that there was insufficient evidence on which to conclude that the fixed interest rate for the extended term would be unfairly prejudicial and held that the return on the Lender's investment should be assessed by reference to the bond markets rather than the lending market. This decision suggests that the court will assess an objection by a secured creditor to a PIA differently depending on whether the creditor is a bank or a loan purchaser that is not a bank. It also demonstrates the court's preference to approve PIAs which result in debtors remaining in their family home where possible. This case also involved a debtor couples' proposed PIA providing for a significant write-down of the debt secured on their family home. The secured creditor, KBC Bank (the Bank) was of the view that only a small proportion of the debt should be written off and the remainder of the secured debt should be split evenly in two portions, one to be serviced with certain specified repayments by the debtors and the other to be 'warehoused' at zero per cent interest, with the debt to be repaid on the death of the debtors. the debtor not to dispose of an interest in or cease to occupy his or her principal primary residence. The High Court held that the debtors' proposed PIA provided a more appropriate solution as the Bank's proposal was not predicated on an ability to repay and was capable of resulting in the debtor's estate being insolvent at the end of the term. Notwithstanding the court's approval of the debtors' PIA, this decision is of interest to financial institutions and holders of NPLs as the court confirmed that warehousing of debt is not precluded as a potential solution by the legislation. However, it is clear that such proposals will only be deemed reasonable if they are sustainable and based on an anticipated ability to ultimately repay the warehoused amount. This case concerned FCR Media Limited (FCR), publisher of the Golden Pages and a related Lithuanian company with its COMI in Ireland. FCR had become insolvent as a result of significant changes in its market in recent years due to the prevalence of digital marketing. The European media group of which the FCR was a part decided to withdraw from the Irish market and to withdraw its financial support to FCR. FCR was also burdened by a deficit in its defined benefit pension scheme which had been put in place for employees many years previously. The scheme of arrangement allowed FCR to avoid liquidation and provided for the inclusion of a pension liability and the wind down of the defined benefit pension scheme with the support of the pension trustees. This case demonstrates the benefits of examinership as it preserved the employment of 73 employees following securing fresh investment in FCR. This case involved a group of seven companies (the Group) all forming part of the Edward Capital Group. The Group had entered into a settlement agreement with one of its secured creditors, Deutsche Bank (DB) to restructure and discharge the Group's secured debts. The Group subsequently sought to appoint an examiner and DB objected on the basis of the settlement agreement arguing that the petition was an abuse of process and an attempt to renege on the agreement. The High Court refused the petition to appoint an examiner to four companies in the Group and referenced the primary motivation behind the petition as being an attempt to retain control of the Group. In approving the appointment of an examiner to three of the companies, the court was concerned for the customers and employees of each business and was satisfied that the companies had met the statutory test for examinership (i.e., whether the company had a reasonable prospect of survival). The Group appealed the decision and DB cross-appealed arguing that an examiner should not have been appointed to any of the Group. The Court of Appeal allowed the appeal and dismissed the cross-appeal holding that the settlement agreement was not, in the circumstances, a bar to the appointment of an examiner. The court confirmed that the statutory test for examinership was met and that an examiner should be appointed to all of the Group companies. In relation to the shareholders wanting to retain control, the court held that the fact that there may have been a commercial incentive in seeking the appointment of an examiner did not constitute an abuse of process having regard to the factual context of the settlement agreement. The Group has since successfully emerged from the examinership process and has continued to trade under new management and ownership with the preservation of over 300 jobs. The Recast Insolvency Regulation has not frequently been invoked in the Irish courts. The High Court recently considered the scope of the Recast Insolvency Regulation in the case of Healy v. Irish Life Staff Benefits Scheme & Anor23 in which the plaintiff had been adjudicated bankrupt in 2013 by the High Court of Manchester in the UK. The relevant court order stated that the proceedings are main proceedings for the purposes of the Original Insolvency Regulation which was applicable at that time. The defendant was an employee of the second named defendant and was party to a pension scheme (the Scheme). The trustee in bankruptcy claimed an entitlement to the plaintiff's rights and benefits under the Scheme. The plaintiff was discharged from bankruptcy in 2014 and was unsuccessful in his application to the High Court in the UK to have his pension under the Scheme excluded from his estate in bankruptcy. The plaintiff then sought injunctive relief from the Irish High Court in the form of an order preventing the defendants from liaising with the trustee in bankruptcy and from making any payments to the trustee. The defendants contested the jurisdiction of the High Court on the basis of the plaintiff's COMI. In relation to whether the pension should form part of the plaintiff's estate in bankruptcy, the court confirmed that is a matter for determination in the UK proceedings and that, for the court to make the reference to the Court of Justice of the European Union as requested by the plaintiff, would in effect be precisely the type of interference with the UK bankruptcy proceedings that the EU regulations are designed to prohibit. In line with the fact that corporate insolvency activity decreased by 14 per cent in quarter one of 2018 when compared with quarter one of 2017, it is anticipated that this trend will continue during the coming year. As discussed above, the dominant reason for this is the fact that the Irish economy is in a growth phase. Linked to the number of applications for PIAs is the high level of NPLs remaining on bank balance sheets which remains well above the EU average.25 However, it is anticipated that there will be a further divestment of NPL portfolios by Irish banks in the coming year which is likely to result in further enforcement proceedings, although perhaps not at the scale seen over the last number of years. The Minister for Justice announced on 29 May 2018 that a new bill will be drafted to provide further protections for mortgagors facing repossession proceedings. It has its genesis in a private member's bill which was published last year but was not substantially progressed (the Keeping People in their Homes Bill). The new bill is intended to apply to repossession proceedings against a mortgagor to whom a PIA under the Personal Insolvency Act 2012 is not available (namely where it has not been possible to put a PIA together, or where one collapses). It is intended to supplement other measures such as the limited legal aid scheme for defaulting mortgagors and the Personal Insolvency Act 2012, in particular the court's power to overrule a secured creditor's veto of a PIA where a family home is concerned. 1 Julie Murphy-O'Connor is a partner in Matheson's commercial litigation and dispute resolution department and corporate restructuring and insolvency law group. 2 The Companies Act 2014 which came into operation on 1 June 2015 is primarily a consolidation of existing laws; however, certain provisions have been modernised and updated. As regards insolvency and restructuring, it has brought increased clarity of process, and reduced court supervision of insolvency processes. 3 The EU framework is as follows: Council regulation (EC) No. 1346/2000 of 29 May 2000 on insolvency proceedings for proceedings opened before 26 June 2017 (the Original Insolvency Regulation); Regulation (EU) 2015/848 of the European Parliament and of the Council of 20 May 2015 on insolvency proceedings (the Recast Insolvency Regulation); Regulation (EU) 1215/2012 of the European Parliament and of the Council of 12 December 2012 on jurisdiction and the recognition and enforcement of judgments in civil and commercial (the Recast Brussels Regulation); and Regulation (EC) No. 593/2008 of the European Parliament and of the Council of 17 June 2008 on the law applicable to contractual obligations (Rome I) (the Rome Regulation). 4 Section 509 of the Companies Act 2014. 5 Deloitte, press releases, 'Corporate insolvencies in 2017 total 874, down 15 per cent when compared with 2016', available online at https://www2.deloitte.com/ie/en/pages/about-deloitte/articles/Insolvency-stats-2017-review.html. 6 Section 449 of the Companies Act 2014. 7 Section 564 of the Companies Act 2014. 8 Section 571(5) of the Companies Act 2014 places a restriction on the right of a contributory to apply to have the company wound up. A contributory is not entitled to present a winding up petition unless the shares of which the person is a contributory, or some of them, either (1) were originally allotted to the person or have been held by the person, and registered in the person's name for at least six months during the 18 months before the commencement of the winding up, or (2) have devolved on the person through the death of a former holder. 9 Section 510 of the Companies Act 2014 provides that shareholders are those holding not less than 10 per cent of shares carrying the power to vote at general meetings at the time of presentation of the petition. 10 Section 510 of the Companies Act 2014 provides that a creditor includes a contingent or prospective creditor of the company. 11 Section 451(3) of the Companies Act 2014. 13 OECD, 'Economic Survey of Ireland 2018', available online at http://www.oecd.org/ireland/economic-survey-ireland.html. 14 Deloitte, press releases, 'Corporate insolvencies in Q1 2018 total 188, down 14 per cent when compared with Q1 2017', available online at https://www2.deloitte.com/ie/en/pages/about-deloitte/articles/insolvency-stats-Q1-2018.html. 15 In the Matter of Custom House Capital Limited  IEHC 428. 16 Order 99, Rule 1 of the Rules of the Superior Courts. 17 In the Matter of Custom House Capital Limited  IEHC 484. 18 European Communities (Markets in Financial Instruments) Regulations 2007 (the MiFID Regulations) gave effect to Directive 2004/39/EC of the European Parliament and of the Council of 21 April 2004 on markets in financial instruments, as amended by Directive 2006/31/EC, as regards certain deadlines and Directive 2006/73/EC of 10 August 2006 as regards organisational requirements and operating conditions for investment firms and defined terms for Directive 2004/39/EC. Directive 2004/39/EC was repealed by Directive 2014/65/EU of the European Parliament and of the Council of 15 May 2014 on markets in financial instruments and amending Directive 2002/92/EC and Directive 2011/61/EU. 19 Re Hayes, a Debtor  IEHC 657. 20 Re Callaghan, a Debtor  IEHC 332. 21 In the Matter of FCR Media Limited (unreported), High Court, 9 November 2017. 22 In the Matter of KH Kitty Holdings Limited and Others  IECA 247. 24 Irish Insolvency Service, 'ISI Statistics Quarter 1 2018', available online at http://www.isi.gov.ie/en/ISI/ISI%20Q1%202018%20Statistics%20.pdf/Files/ISI%20Q1%202018%20Statistics%20.pdf. 26 The sale of the Thomas Crosbie media group is an example of a high profile pre-pack in which this firm acted for the secured lender. Although one creditor commenced proceedings challenging the process, the case did not proceed to trial, as the creditor was subject to an order to pay security for costs on the grounds that, amongst other things, the creditor plaintiff had failed to show that the secured creditor did not have at least a prima facie defence to the claims, on the grounds that the secured creditor was entitled to take steps to enforce its security in a manner which protected its legitimate interests. Webprint Concepts Ltd v. Thomas Crosbie Printers Ltd  IEHC 359.